For 18 years I've been trying to communicate the strategies of the Tutor/Mentor Connection, but sill feel that most people don't really understand what we're trying to do. That is demonstrated by the lack of philanthropic investment we receive. We're collecting knowledge and sharing that to support the decisions that others make. This graphic is one that illustrates this. You can find it in this pdf that shows the on-line resources of the T/MC. This strategy can also be understood through this graphic. Take a look at the on-line version of this strategy map and follow the links to see the range of information that we collect. Look at the public awareness strategy and see what we're trying to do to increase the number of people who look at this information daily. Imagine http://www.blogger.com/img/blank.gifif those working with youth could collectively create media and TV shows that attract as many people to our web sites as American Idol attracts to their show each week. We can't do that by ourselves. This video is one that shows how I explain this strategy. 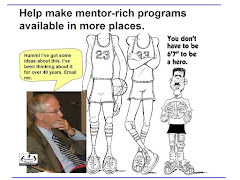 There are more videos like this on the Tutor/Mentor Institute site. This information is intended to support LEADERS in business, religion, education, politics, law and every other industry and social sector. 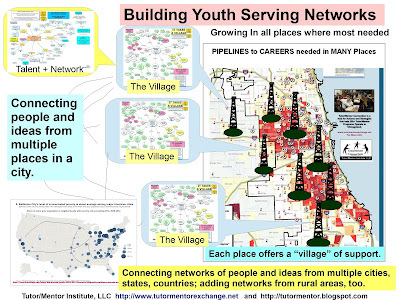 If more are writing articles like this and creating their own videos, pointing to the information we and others share, we can attract more and more volunteers and donors to non-school tutor/mentor programs in Chicago and other cities and help each program grow in how well it supports youth and volunteers. We can host this strategy from any city, from any university, or as an independent think tank supported by a team of investors. 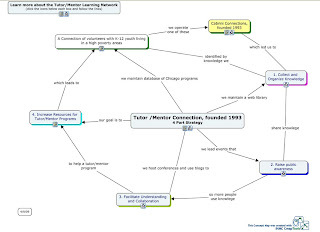 In July 2011 the Tutor/Mentor Connection will become a FREE AGENT and available to bidders who want to incorporate this into their own community, or their own leadership, but don't want to spend the money needed to build this from scratch. Mayor Rham - Ask for something in return. Chicago 2011 and beyond. Are you Involved? Path Blocked? Open New Channel.